At first, Joie Florence was torn between teaching and physical therapy when the University of Idaho student looked toward a career following graduation. It became an easier choice when the soon-to-be-doctor figured out it was medicine that really got her excited to be in the classroom. “When I thought about what I loved most about teaching and what I was most excited to teach, it was health — that led me to medicine,” said Florence, a student in U of I’s WWAMI Medical Education Program who has worked this semester to spread her knowledge to middle school students in Canyon County. The spark came when Florence volunteered at the Snake River Community Clinic, a free clinic in Lewiston, while enrolled as an undergraduate in U of I’s College of Education, Health and Human Sciences. The fact that the work was both rewarding and mentally stimulating sealed her decision to study medicine. “Medicine has always been a good fit for me,” she said. 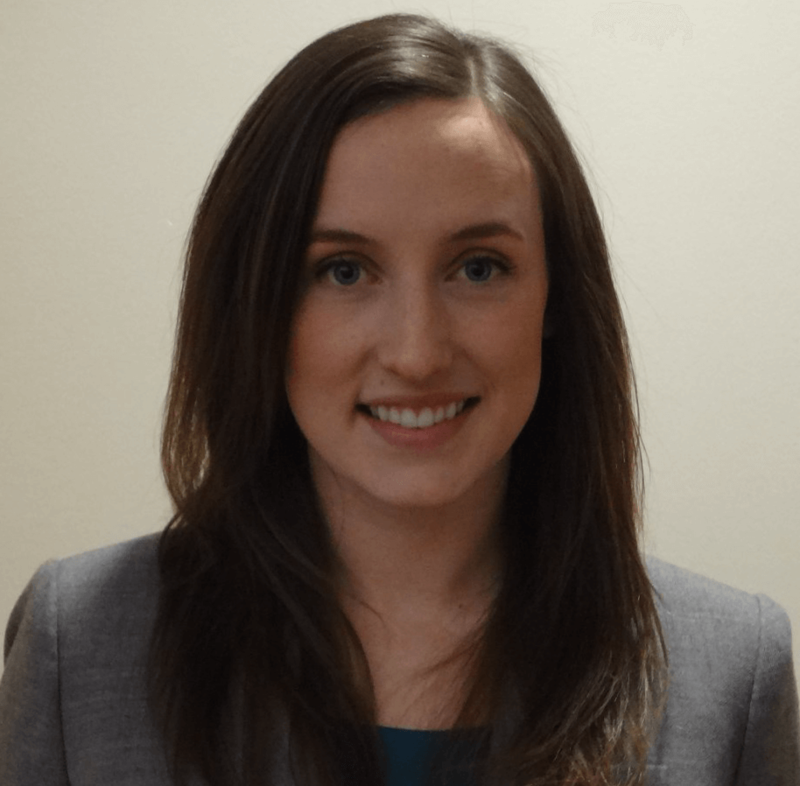 A 2009 graduate of Bishop Kelly High School in Boise, Florence received a Bachelor of Science in Exercise Science from U of I in 2014 and is now in her fourth year of medical school as part of U of I’s WWAMI program. Students in the curriculum study medicine in their home state through a partnership between the University of Washington School of Medicine and the states of Washington, Wyoming, Alaska, Montana and Idaho. The decision to study in Idaho was an easy one for Florence. 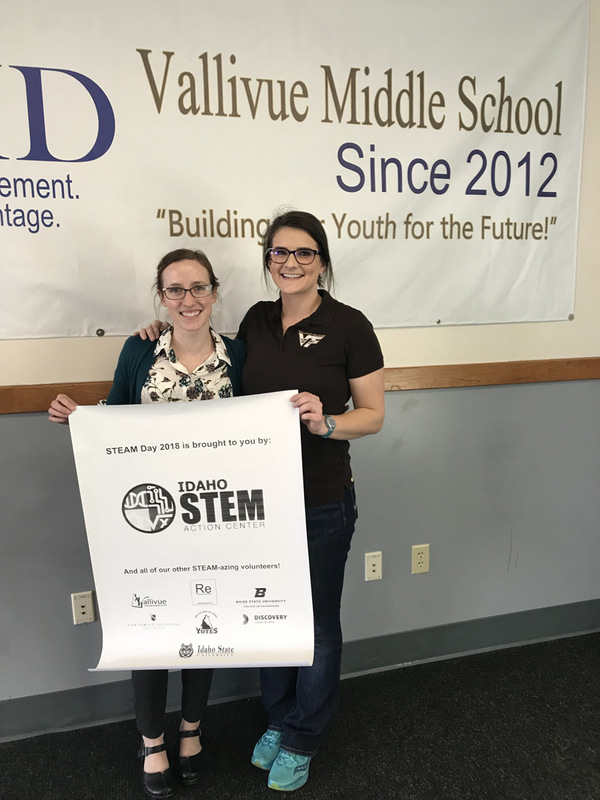 Joie Florence, left, and Haily Bull, Vallivue teacher and STEAM day coordinator, stand following a presentation at the school. She recently finished a physical medicine and rehabilitation rotation at Boise’s Neuroscience Associates before moving on to her final WWAMI rotation in pediatric cardiology at St. Luke’s in Boise. The opportunities provided through Idaho’s medical school have also allowed Florence to fuel her passion for teaching through multiple presentations in Treasure Valley-area schools. This spring, Florence has taken her love of the classroom to the Vallivue School District in Caldwell. She recently led a presentation on healthy lifestyles for a group of seventh-graders studying science, technology, engineering, art and math (STEAM). Florence’s outreach efforts have focused on issues including how to exercise wisely and choose nutritious foods. She’s also taught students how to calculate a pulse and what exercise can do to a person’s pulse. Her goal is to encourage good habits and healthy lifestyles from a young age. She hopes to eventually practice outpatient family medicine and sports medicine. Florence graduates with her Doctorate of Medicine May 25, 2018, with a prospective residence in family medicine and a fellowship in sports medicine on the horizon.